The slender, stylish form of the Talis S collection merges modern design with functional details for a look that blends in with any contemporary bath. 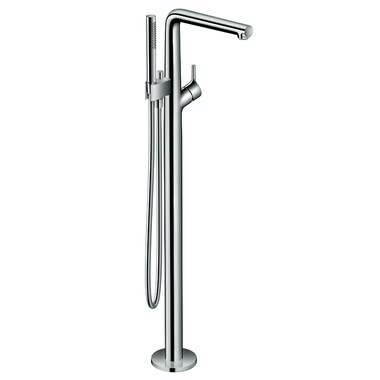 This Talis S floor-mount freestanding tub filler faucet comes with an AXOR Starck single-setting handshower and a 49" Techniflex hose, integrated double backflow prevention, and a diverter for the handshower. 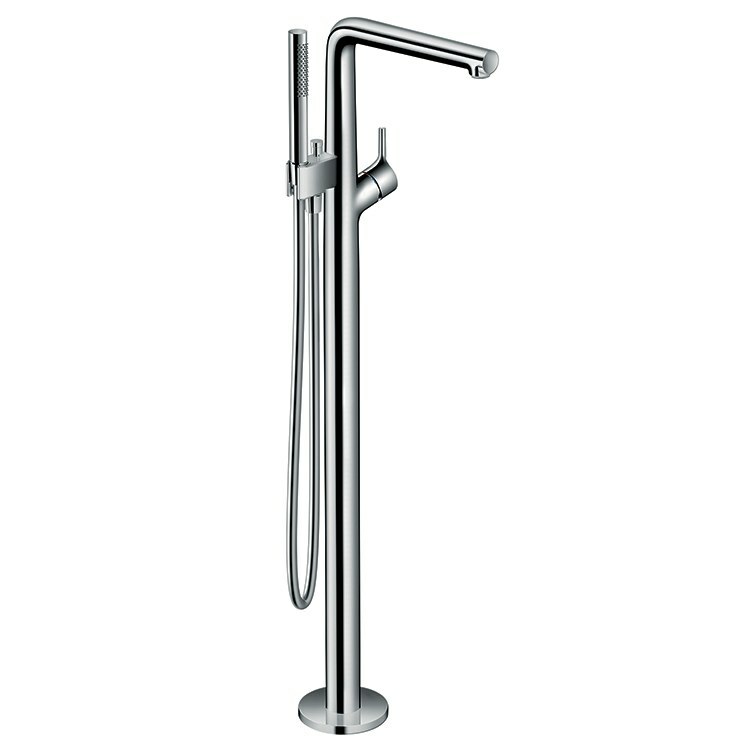 The faucet measures 47-1/4" high with a 10-3/8" reach. Trim kit requires a rough-in valve 10452181 (sold separately) to complete installation.